Mom’s sister “Delores” had an awesome housekeeper named “Jeanette” who was a long-time helper to the family. The entire family (my cousins, grandmother, Aunt Sister and Uncle Bill and my immediate family) considered Jeanette as one of our own. We never physically adopted her, but we did in our hearts. I remember how easily I could make Jeanette laugh… and her laugh was totally infectious. About the age of 15, I started giving Jeanette ‘hell’ for not making me a lemon cake for my birthday. Jeanette, finding your special recipe in mom’s cookbook totally makes up for that silly lemon cake and I’m sure you know that! I miss your smile and I’m sure you’re with mom, dad and the gang… laughing it up there in Heaven. 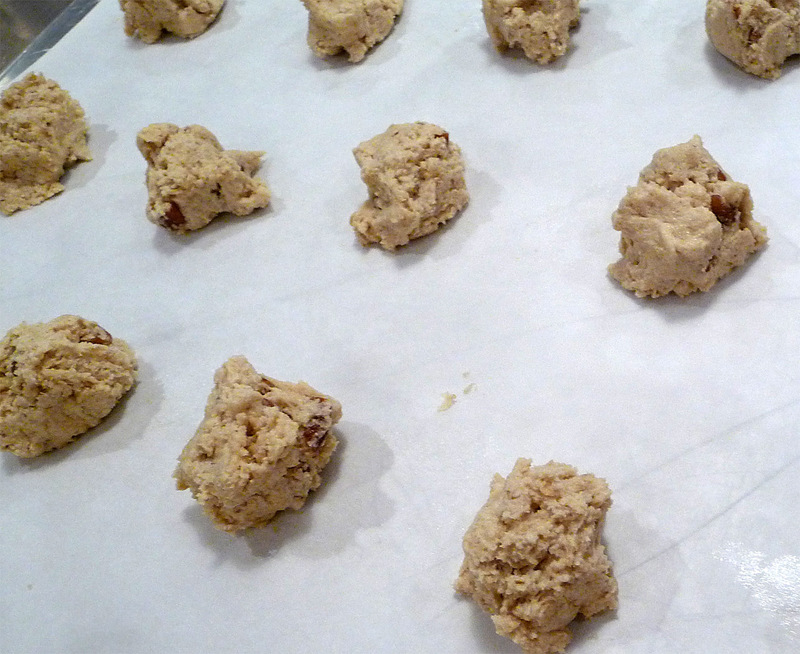 It’s time to make some of your oatmeal cookies and celebrate the good ol’ days! 1. Preheat oven to 350°F. That was easy! 2. Combine shortening, vanilla and sugars and cream well. Add well-beaten eggs and blend thoroughly. 3. 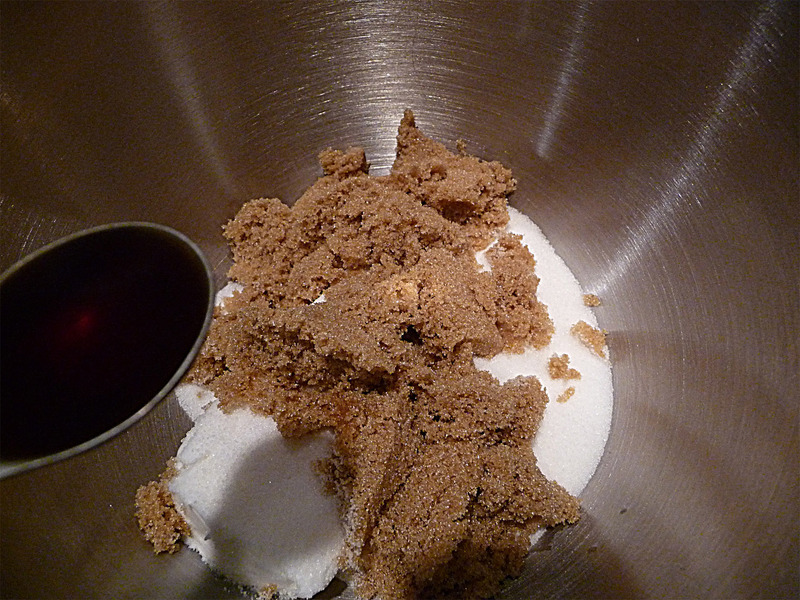 Sift soda and baking powder with flour and add to the creamed mixture. 4. Add oatmeal and nuts and blend. 5. 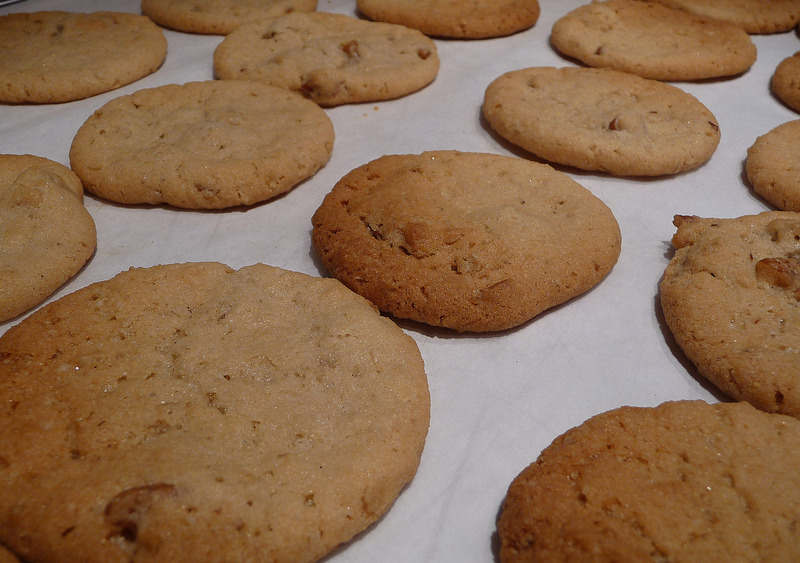 Drop on cookie sheet with a teaspoon. 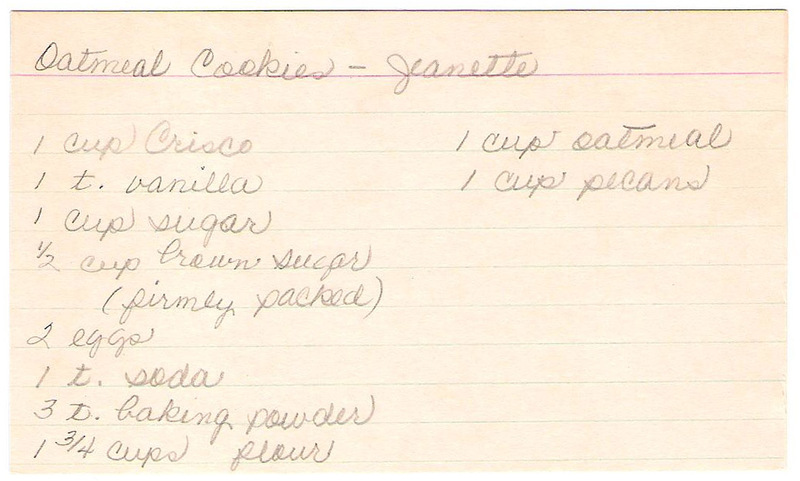 Mom included a note… Jeanette says “don’t cook that long!” I like “chewy” cookies, too! 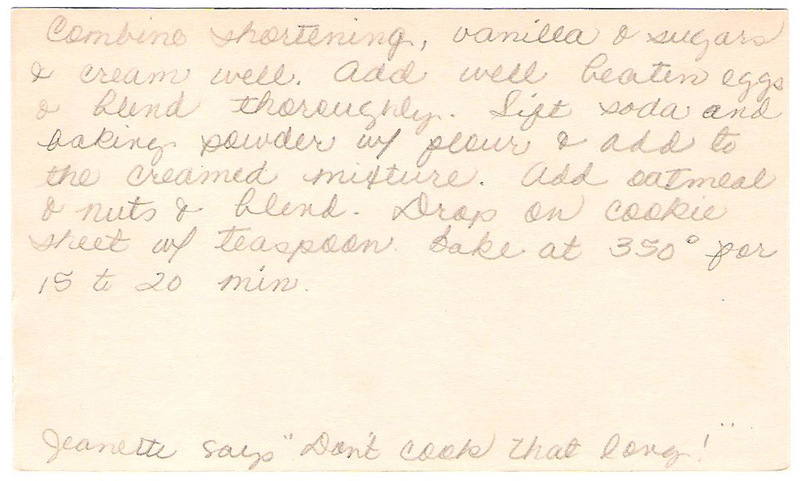 This recipe was the first one added to Betty’s Cook Nook from mom’s circle of friends’ network… I wonder how many of mom’s recipes are still in our family friends’ cookbooks.